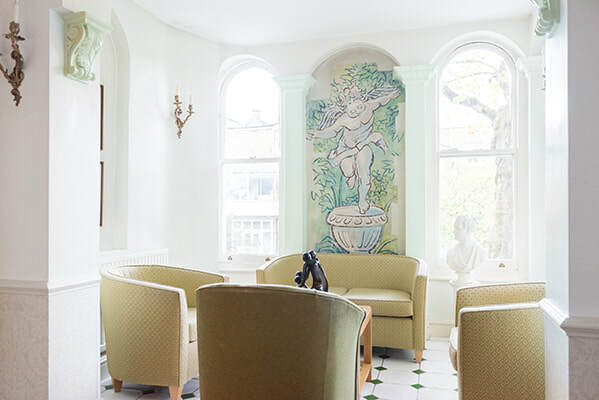 Located within the heart of London, the Byron Hotel offers incredible value with outstanding service. The traditional aesthetics of the 3-star hotel provides a comfortable and homely atmosphere for guests. Previously two Victorian townhouses the Byron is located a stone’s throw from Hyde Park. All our guests have access to our comfortable and traditional rooms with the added benefit and unrivalled dining experiences through our restaurant partners, featuring a delightful choice of cuisine from authentic Chinese restaurants to fine dining establishments. Our multilingual staff look forward to welcoming you and ensuring your stay with us is a memorable experience. Our best rates are guaranteed when you book direct with us. Save 20% off our Best Available Rates & benefit from free cancellation and more! Plan ahead and take advantage of our 2-night London Super Saver offer for only £59 per person. Our Small Double room is perfect for short stays for up to two people. This standard room features one small double bed and a private bathroom with shower. In-room amenities include Wi-Fi, satellite TV, laptop safe and hairdryer. Our Penthouse Quad room has two separate sleeping areas and is perfect for families or friends sharing. It features one double bed and two single beds, accommodating up to four persons, as well as a private bathroom with shower and bathtub. 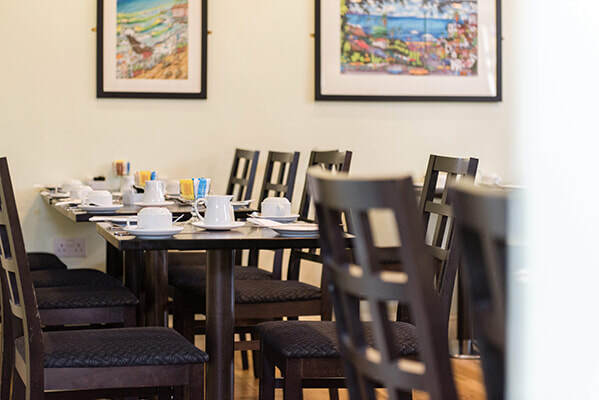 Enjoy our English breakfast (for a surcharge) served in our breakfast room, featuring coffee, tea, sausage, egg, beans bacon, mushroom, toast in addition to our Continental offering. Take advantage of our Ultrafast WiFi, complimentary in all guest rooms and throughout the entire property. Throughout the day, we offer all of our guest’s complimentary coffee, tea and water – all available in our welcoming lobby. 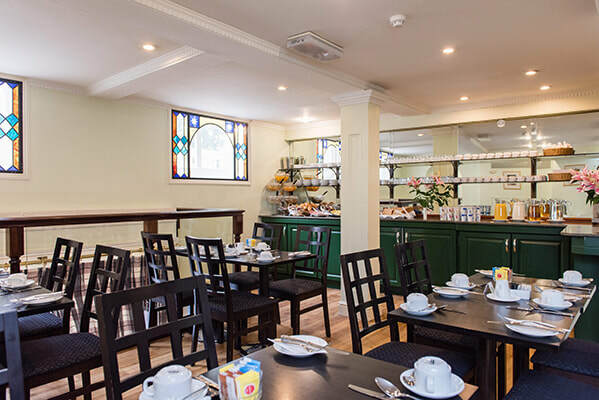 Enjoy our complementary Continental breakfast (surcharge for English breakfast) served in our breakfast room, featuring coffee, tea, fruits, boiled eggs, ham, cheese, pastries and bread. 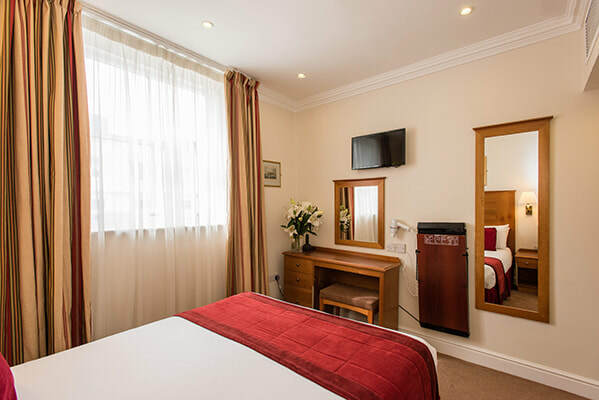 The Byron Hotel is conveniently located in the cosmopolitan area of Hyde Park and Bayswater. This makes it ideally situated for your visit to London, be it for business or pleasure. With easy access to all public transport, The Byron is the perfect base from which to explore the city. Up to 123 different popular attractions are put within easy reach by the two metro stations near our hotel. "I have been several times in this hotel and I have always appreciated the location, the style and the setting of rooms and common areas. Good breakfast. Great location close to the park and the tube. ."